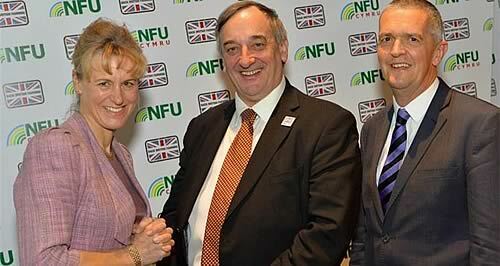 Meurig Raymond, a mixed farmer from Pembrokeshire, will lead the NFU for another two years. Minette Batters, a livestock farmer from Wiltshire, was re-elected Deputy President and Guy Smith, a farmer from Essex, was re-elected Vice President. “I’m extremely proud to be re-elected as President of the NFU and I’m grateful that the membership and NFU Council have supported me in the way they have. “We need to build on what has been achieved over the past two years and convince the policy makers, retailers, consumers and society of the importance of food production and British farming and that we, as farmers, can help to grow the rural economy.